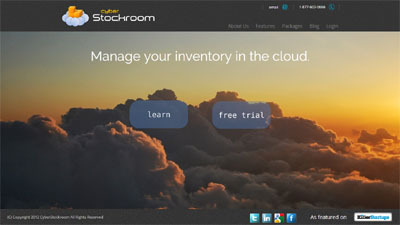 CyberStockroom is a provider of web-based inventory management software designed for small businesses. The online service does not require any software or equipment installation. Features include: Full barcode integration and automatic SKU recognition, state of the art visualizations of Inventory levels, Online POS service, easy importing functions to easily go live in minutes and much more! Small business owners know how much they need inventory management software but they’re not at all interested in the technicalities and jargon involved. CyberStockroom’s SaaS solution hides all these complexities and presents the user with an easy-to-use, intuitive, robust and secure service that gives them real control over their business and their products. Our software features very powerful tools that are critical for effective inventory control: Full barcode integration, automatic SKU recognition, real-time Cost of Goods Sold Calculations, state of the art product level visualizations, inventory importing functionality and much more.